These are numbers reported from Wikipedia and they look to be close to what I can find. It is virtually impossible to get any sensible numbers from any government documents. 1.1 Trillion from Income Tax!!! From us; individual income tax!!! So, what does DR. Paul say about the need for the IRS? Eliminate the income tax altogether..
Ending the Federal Reserve allows for eventual removal of a large portion of our debt. Say $150 billion this year. So there is a break on income tax of $631 billion dollars!! More than half!! Reduction in the size of the Federal government can cut waste, eliminate entitlement programs and reduce administration costs. Look at the list; what is general government and why are spending $20 billion dollars on it? Is that what America is about? 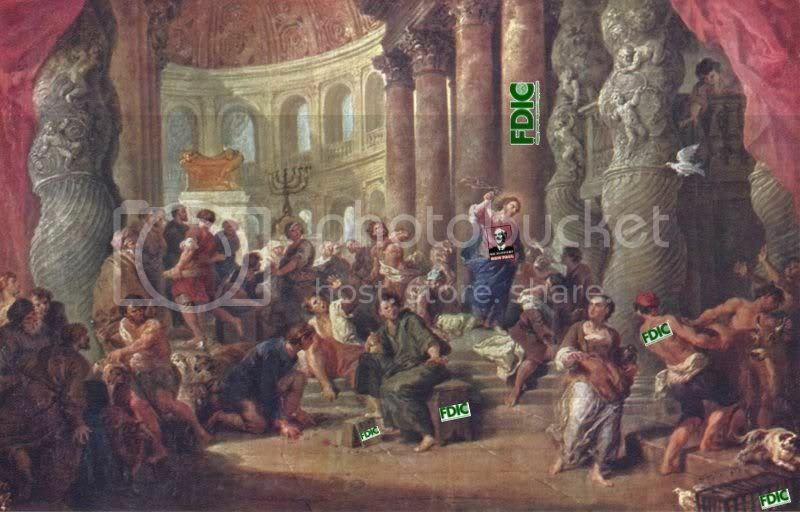 Did Jesus hate the Federal Reserve? to it once or twice but I can't find the clips.. Incredible! A facebook group of Latter Day Saints for Ron Paul! And an LDS blog for Dr. No!! What's next?? Neo-cons for Ron Paul!!?? Does everyone love freedom or what??!! How does the Fed help Americans? It doesn't and just serves big government and corporations as well as the rich. First post to start a Paul Presidency! This is my first post to begin sending Dr. Paul on the way to the White House. same things as you, namely freedom and a responsible Federal government. get the coverage he deserves so let's do something about it!! You need to get to them?